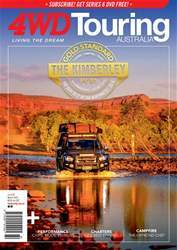 Hands down, the Kimberley is the single brightest highlight of touring Australia. Because that’s what this magazine is about – driving, camping, fishing and adventuring around Australia – the concept of our annual Gold Standard issue is an easy one to understand. Quite simply, this issue presents the best of the best. When it comes to the northwest, these are the finest offroad experiences, tours and accommodation options. It’s an issue that’s equal parts a) awards ceremony, b) guidebook, and c) inspirational photo gallery. Yep, you’ll be packing your truck by the time you get to the contents page.